Departing the pier, your vehicle takes you around the medieval city wall which encompasses the Old Town before you begin your guided walking tour through its atmospheric streets. You visit the Russian Orthodox Church, the 13th the exterior of the Castle which is now the seat of Estonia's Parliament. You descend along the Long and Short Leg Streets to the Lower Town where you continue your tour with the highlights of medieval architecture including the Great Guild House, Black century Gothic style Dome Cathedral, and view Heads Brotherhood House and the Holy Ghost Church. Soon you reach the Town Hall Square where you’ll find the oldest surviving Gothic Town Hall in Northern Europe. Across the square is a 15th you can enjoy some free time for optional lunch or refreshments in the Old Town and for shopping in St. Catherine’s open air market. After this break you will drive to the Open Air Museum called Rocca al Mare that recreates the village life of the 18th century on the coast. 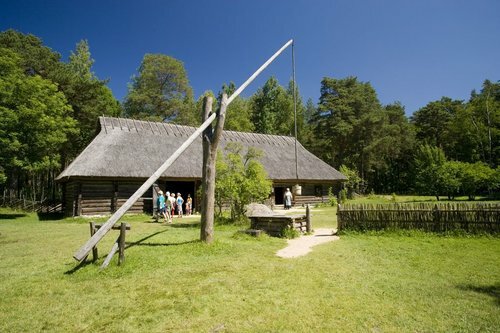 This Estonian Village Museum offers the opportunity to explore authentic examples of the local rural architecture like farmhouses, cattle-sheds, storehouses, barns, smithy, chapel, windmill etc. You can also visit some of the farmhouses to see the furnishing and household appliances of the corresponding period. Our final stop will be at a handicrafts shop where those of us looking for keepsakes of this visit can buy Estonian handicrafts. You will walk along cobbled streets during the walking portion of your tour while in Old Town. Wear sturdy comfortable shoes.